So what are those labels on egg cartons telling you? Adding eggs to a healthy diet is a great idea, but buying eggs at the store can be really confusing. There are so many different labels on eggs these days, it’s difficult to know which ones are the best. If you are fortunate enough to be able to buy eggs from pastured hens or free range eggs direct from a local farmer, that’s about the best option out there. However, if you need to buy your eggs at the grocery store, you’ll have to figure out what the labels mean to be able to choose the kind of eggs you want. What Does That Label Mean Egg-xactly? Cage Free: This sounds better than it really is. Commercially, all it means is that the chickens are uncaged inside barns or warehouses. While that’s better than being imprisoned in tiny cages, most of the time there is no access to the outdoors. They can walk around, but there is not necessarily much room to do so. Also, there are no regulations on what the chickens are fed, and they can be forced to molt through starvation. All of a sudden, cage free doesn’t sound so great. Certified Humane: There is a certification process available for this label. If certified, the chickens must be uncaged, but may be kept indoors at all times. However, they must be able to nest, perch and dust bathe. There is also a limit on how many chickens can be in a given area, plus how many perches and nest boxes are available. De-beaking is allowed, but forced molting is not. 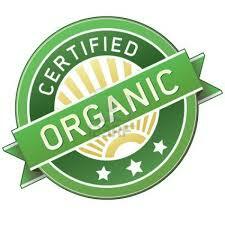 Certified Organic: The chickens are uncaged and are supposed to have outdoor access. Some large-scale producers don’t really provide this however, giving the chickens only token access to the outside. However, the hens must be fed an organic, all-vegetarian diet that is free of antibiotics and pesticides. Unfortunately, forced molting through starvation is permitted. Fertile Eggs: This means the hens were kept with roosters, so the eggs are likely fertilized. I’m not sure why this labeling would be important, except maybe as an indication the hens were not caged. Free Range or Free Roaming: The USDA has not set standards for free range egg production, but it generally means the hens are uncaged and have access to the outdoors. Unfortunately, this label is often misleading. Producers may not open the doors for the hens until they are older, so they don’t go outside because they aren’t used to doing so. For example, Michael Pollan, in his best-selling book, The Omnivore’s Dilemma, describes one farm producing organic, free-range chickens for meat. He says that the chickens are “given outside access” at 5 weeks, then killed at 7 weeks. He never saw a chicken go outside during his visit. Here again, this is where it pays to know local farmers. Generally speaking, on smaller farms a free range chicken is exactly what it implies… during the day the chicken roams over the farm, foraging for food. They may be put in a pen at night, or roost in trees. But the point is, the chicken is free to engage in natural behaviors and eats a more natural diet. 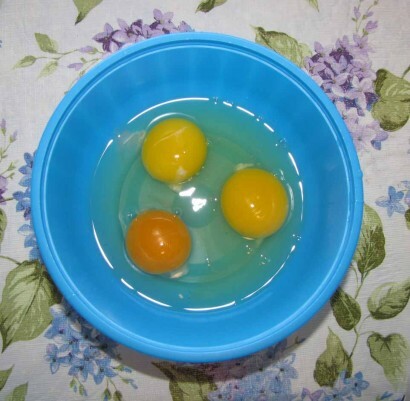 Eggs from true free ranging chickens look different than their pale mass-produced counterparts. The yolk is a rich orange, instead of the pale yellow seen in most store-bought eggs. (See picture above.) Not only do many people find these eggs to be much tastier, but there is accumulating evidence that the eggs from these hens have better nutritional profiles, with more Omega-3, plus nutrients such as Vitamin A, lutein, vitamin E, and beta-carotene. Natural: There is no regulation of this label, so it can mean whatever the egg producer wants it to mean. Your idea of natural and their definition of natural may differ greatly. Omega-3 Enriched: This can mean the hens were fed flax seed, or it could mean they were allowed to eat out in the pasture, both of which will increase Omega-3 fats in the eggs. So you get eggs with more Omega-3, but you don’t really get any indication of how the chickens were raised that laid the eggs. Pasture Raised Eggs: This means the chickens have had access to a wide variety of the natural food of chickens — greens, bugs, etc. Generally speaking, they are kept in a big screened cage with no bottom, giving them access to the grass and bugs. These cages are moved periodically to give the chickens fresh foraging areas and allow the grass to re-grow where they ate it down. This provides protection from most predators while allowing the chicken most of the advantages of free ranging. Beak trimming is permitted under certain conditions. Only non-feed withdrawal molt methods are permitted. Birds must not be abused by being thrown, kicked, crushed or otherwise mishandled. Each company should have a biosecurity and animal health plan. Cages should have 67-86 square inches of usable space per bird. It may sound like a lot, but 67 square inches of cage space per bird is actually less area than a sheet of paper. The hens are confined in restrictive, barren cages and cannot perform many of their natural behaviors, including perching, nesting, foraging or even fully stretching their wings. Compliance is verified through third-party auditing. Vegetarian-Fed: Perhaps these chickens are getting a more natural feed than that received by most laying hens, but it is NOT the natural diet of chickens. A chicken that is allowed access to the outdoors will naturally include protein sources in their diet, such as bugs. In other words, chickens are not vegetarians, they are omnivores. The chickens that are being fed naturally are those that are allowed to free range outdoors, or are pastured poultry. As you can see, the labels on eggs at the grocery store are quite misleading. It may sound good to say you are buying cage-free eggs, but in actual fact, it may only mean that instead of being confined to a small cage, the chicken just has a small open space. Of these, the pasture raised eggs are also better for the chickens because there is no way of telling if certified organic or Omega-3 enriched eggs are also from chickens with natural living conditions. And of course, to get the very best eggs, there’s just no escaping the fact that those raised by local small-scale farmers are usually top-notch. You can find local farmers by going to Local Harvest and typing “eggs” in the search box, putting in your location and clicking on search. Sometimes they advertise in local papers as well, or you might see signs along the road, or friends may know of someone who sells eggs. It’s good to know the farmer and their practices, however, because some can be using the same conventional methods used by big companies. Ask if the chickens on the farm are free-ranging or pastured, as those are generally the chickens producing the most natural and healthy eggs. And those are egg-xactly what you should be eating!